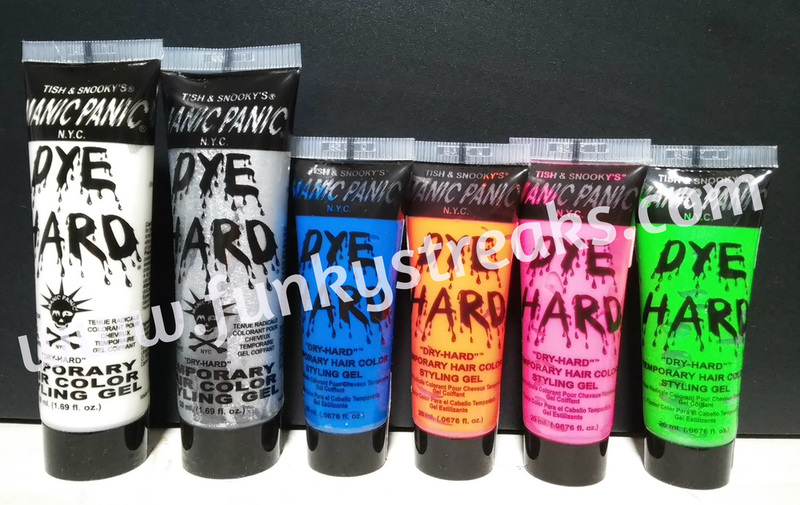 Manic Panic DYEHARD colored styling gel! A thick opaque temporary hair color styling "gel" available in an easy to use squeeze tube. Temporary and totally washable. Easily washes off with shampoo! Work into your hair with fingers or a comb to add color all over or to just the tips. The styling gel dries hard to hold your style all day without fading.